When filing a claim for social security disability claim, it is imperative you have all of the necessary information and records to support your claim. An experienced Glen Burnie Social Security Disability attorney will make sure your claim is complete and accurate to avoid a denial of your benefits. Dealing with the complicated rules and processes involved with filing a Social Security Disability claim can be daunting. A skilled lawyer will navigate the system for you so you can be assured your disability claim was properly filed. Any public or religious records made before the age of 5 for your birth. The dates and locations of any marriage, and, if the marriage dissolved, how and at what time the marriage ended. If you currently have or previously had a child under the age of three living in your residence during a year without earnings. Whether you received earnings every year since 1978. If you ever served in the active military prior to 1968 and, if yes, your service dates and whether you can or have ever been allowed obtain monthly benefits from the military or a civilian Federal agency. The date when you were no longer able to work due to sickness, injury, or other disorders and if you are unable to work presently. Information regarding any workers’ compensation and/or comparable benefits you have filed or plan to file. Whether you plan or are eligible to receive a pension from Federal, state, or local government employment. If a parent depended on you for half of his or her support when you became disabled. Any money you received or anticipate getting from an employer following the date of your inability to work. Information about any self-employment or an employer’s name for income received last year and this year. Whether you accumulated Social Security credits from the Social Security system of another country. If you have ever filed for Medicare, Social Security benefits, or Supplemental Security income or if someone applied for any of these on your behalf. Any prior Social Security numbers used. Whether your spouse or yourself was ever employed by the railroad industry. Names of unwed children under 18, children 18-19 attending secondary school or children who were disabled prior to the age of 22. Status of any unresolved felony or arrest warrants for flight-escape, fleeing from custody, or escape to evade prosecution or incarceration. 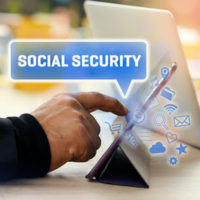 The safest route to getting Social Security Benefits approved is to make sure you stringently follow the associated established guidelines. Failing to do so will lead to a disability denial. Trust the Law Offices of Steinhardt, Siskind and Lieberman, LLC to file your claim. Our skilled Social Security benefits lawyers have the knowledge and experience to ensure your claim is timely and properly executed. Schedule your free consultation in our main Glen Burnie office or our satellite offices in Owings Mills, Ellicott City, or Annapolis.